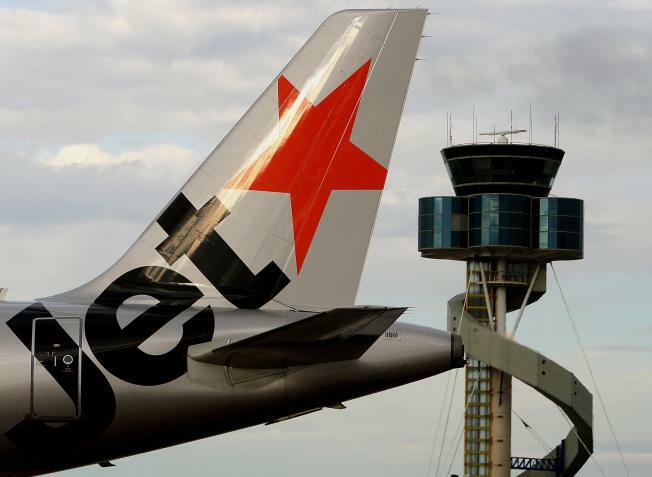 Australian low-cost carrier Jetstar, has laid down the law for overweight passengers: one seat for the price of two. Passengers who hit the 350 pound mark on the scale are now expected to pony up for two seats. So clearly, Jetstar = Fatphobic. However, it seems that Jetstar also = stupid, because the latest fat passenger to fly with them, Samantha Scafe, had her two seats booked across the aisle from each other. She is obviously suing for discrimination. What I'm curious about is whether or not they have passengers who look like they might tip the two-seat scale, stand on the baggage scale to get weighed in before the flight.